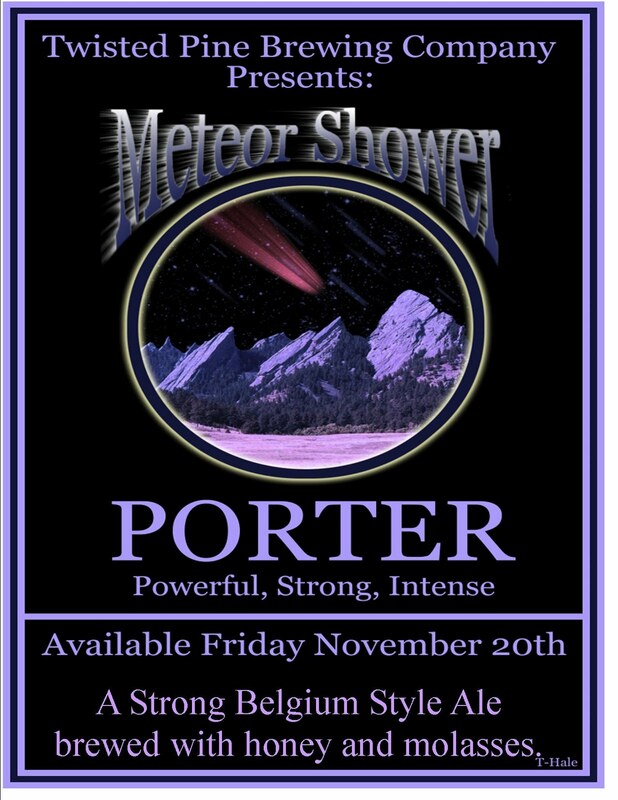 Fresh off the heals of releasing their Northstar Imperial Porter, Twisted Pine Brewing Company of Boulder, Colorado is announcing the tapping of their latest brew: Meteor Shower Porter. Could it be coincidence that the Leonid meteor shower just peaked this week? I think not. The timing seems just right to celebrate the phenomenon but just as quickly as it arrives it will be soon gone as this is a one time only release. 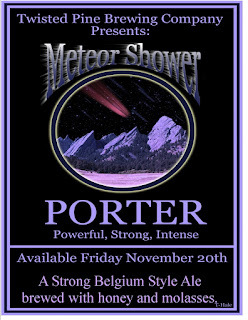 Meteor Shower Porter has a slight twist on regular porters. This one is brewed with honey and blackstrap molasses for a bigger flavor profile and it's also fermented with a Belgian yeast strain for a different aroma and taste characteristics. It also weighs in at a hefty 10% ABV. - Twisted Pine Amber Ale review.